According to StudynStay, 5,000 new international students will be housed in Purpose Built Student Accommodation (PBSA) in Brisbane's Woolloongabba by 2022.
International Education is Brisbane’s top export with more than 80,000 international students studying in Brisbane each year, pumping a total of $3 billion into the Brisbane economy. Despite Australia being the most expensive international student destination, student numbers continue to surge. According to Brian Ciseau, StudynStay Safe Founder and Director of Marketing, by 2025 over 70 per cent of the total global number of students studying overseas will come from the Asia Pacific region. The 'Gabba is already home to over 3,000 students and is in close proximity to five universities, and over 20 English language and vocational training colleges. The Queensland Government recently announced plans for a $5 billion five-kilometre double-deck tunnel for both buses and trains beneath Brisbane River linking Brisbane CBD to the Gabba. StudynStay Safe identified Woolloongabba as becoming Brisbane’s top student accommodation destination. After refurbishing a residential building in Woolloongabba into 80 student accommodation beds, StudynStay Safe have secured a second building now under construction with completion at end of 2015. 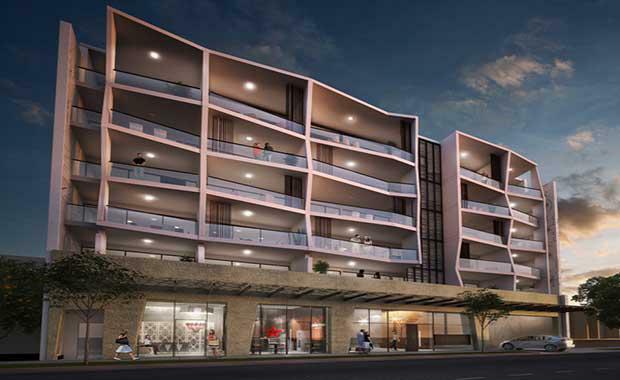 Work on other sites in Woolloongabba are underway including plans to amend a DA approved 20 level building into 600 student accommodation beds. All apartments are strata titled and will be pre-sold at an eight per cent yield to SMSFs and investors.